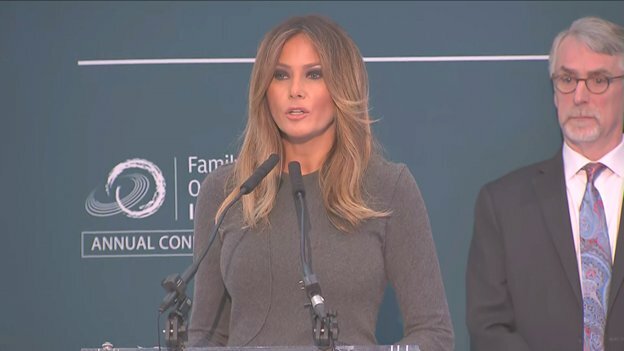 WASHINGTON, November 15, 2018 — As she stepped up to the podium Thursday to address the Family Online Safety Institute’s annual conference, First Lady Melania Trump’s message for critics who say she should stay away from making the fight against cyberbullying her cause was a familiar one: I don’t care — do you? While those words became closely associated with her visit to a detention center housing immigrant children who her husband’s administration had taken from their parents, they also summed up the message she delivered at Thursday’s conference. Speaking at the outset of a panel featuring a number of student anti-cyberbullying advocates, Mrs. Trump addressed her detractors head-on by noting that the argument made by critics — that she shouldn’t be making cyberbullying a cause if she’s not willing to confront her husband about the Twitter-based name calling that has become a centerpiece of his political persona — was “not news or surprising” to her. Mrs. Trump said the conference’s theme, “Creating a Culture of Responsibility Online,” was what her “Be Best” anti-cyberbullying initiative is all about, adding that as a mother to a young son, she feels strongly that children should be taught about online safety and responsible habits from a young age. Noting that students are routinely taught about showing respect for others in an in-person setting, she said that the question of how to translate those lessons into the digital world was one of the “challenging questions” she has faced as both a mother and as First Lady. “Today’s technology provides people with a digital shield to hide behind, and being anonymous often takes the place of being caring and responsible, which can lead to children and adults feeling empowered to be unkind and at times, cruel,” she said. 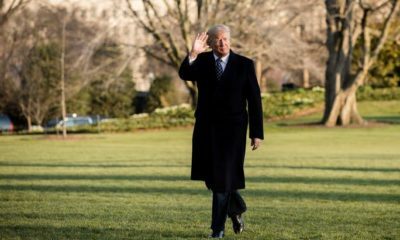 WASHINGTON, April 8, 2019 — Less than 24 hours after he announced the firing of Homeland Security Secretary Kirstjen Nielsen, President Trump has fired the head of the agency charged with protecting him and his family. White House Press Secretary Sarah Sanders on Monday announced that Secret Service Director Randolph Alles would leave the agency “shortly” and be replaced by James M. Murray, a career official whose prior positions include service as the Special Agent in Charge at the agency’s Washington Field Office. 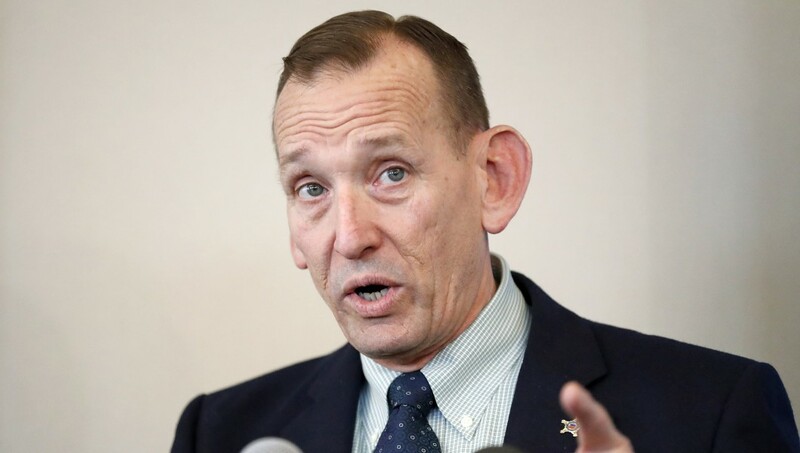 Alles, who retired from the United States Marine Corps as a Major General, had been tapped by Trump to lead the Secret Service only four months after he’d been confirmed as Deputy Commissioner of U.S. Customs and Border Protection Service. According to author Ronald Kessler, Alles clashed with administration officials last year when he proposed withdrawing Secret Service protection from some of President Trump’s family members and advisors unless they’d received threats. 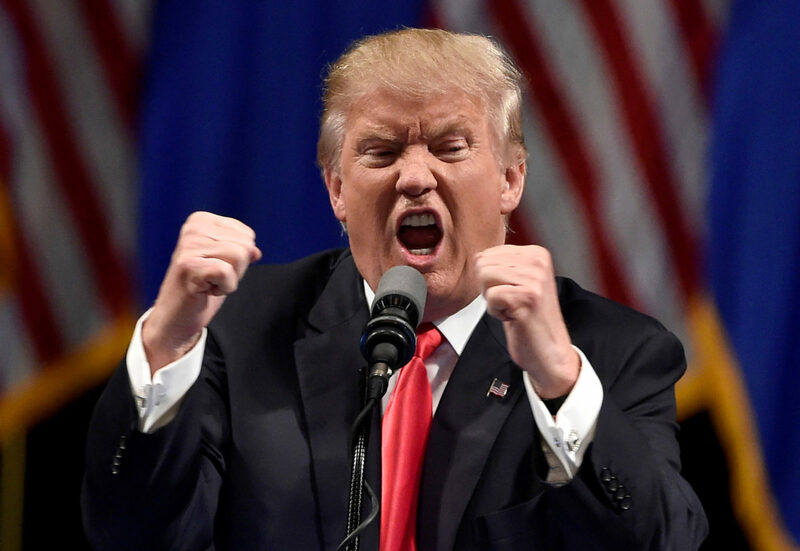 WASHINGTON, April 8, 2019 – Current and former Trump administration officials say that Congressional Democrats have ample justification to obtain the report of Special Counsel Robert Mueller, but only if they launched a formal inquiry into whether to impeach President Trump. And because Democrats are afraid to go down that road, say the current and former Trump officials, they’re stuck in an illegitimate quest for documents protected by executive privilege. In the wake of Wednesday’s House Judiciary Committee vote authorizing a subpoena for the entire report of Special Counsel Robert Mueller, together with underlying evidentiary materials, the president, White House officials and their supporters are reverting to their usual gloves-off approach to dealing with Democrats’ investigations. Democrats are characterizing their efforts to obtain Mueller’s report as a normal function of Congressional oversight, but the administration’s view is that Democrats’ investigation — as currently constituted — is an illegitimate effort to obtain material they are not legally entitled to see outside of an impeachment investigation. The one set of circumstances laid out under the precedent most relevant to today’s conditions was the release of materials from Watergate Special Prosecutor Leon Jaworski’s investigation as part of an impeachment investigation. 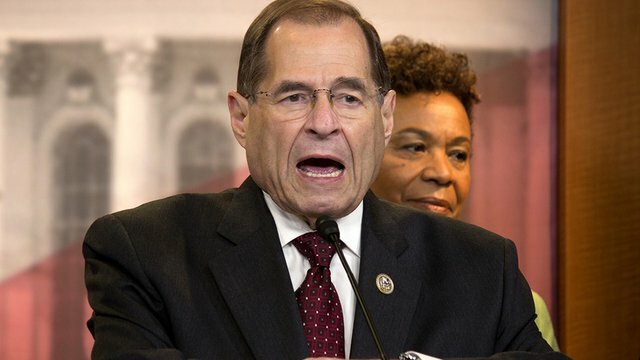 One senior administration official said House Judiciary Committee Chairman Jerrold Nadler, D-N.Y., is asking the Justice Department to break the law when he should trust that Attorney General Robert Barr will release what he legally can. But another source close to the president said House Democrats could make a strong case for obtaining the materials they seek under the precedent set during Watergate. That’s only if it were not for Judiciary Committee Chairman Jerrold Nadler’s reluctance to launch a formal impeachment inquiry. “[Nadler] is probably afraid to even think about impeachment, much less say it on the record,” the official said. After the reception of Attorney General William Barr’s four-page summary of the Mueller Report appeared to “clear” President Trump of wrongdoing, Trump appeared to be engaged in a role-reversal: He said he was willing for the public to see the report. 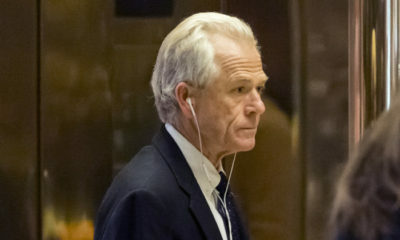 But after apparent statements by attorneys in the special counsel’s office disputing the characterization of the Barry summary of the Mueller Report, the president has shifted to the argument that releasing the report would run afoul of both the law and Department of Justice policy, rules and regulations. Trump’s acceptance of Barr’s exercise of discretion and putative adherence to the letter of the law governing protection of grand jury materials is an uncharacteristic turn for Trump. He spent the first two years of his term encouraging House Republicans’ efforts to release documents concerning ongoing investigations, while belittling and insulting his first Attorney General — former Alabama Republican Sen. Jeff Sessions — for following Justice Department rules by recusing himself from investigating Trump’s 2016 campaign. Prior to this turnabout, Trump had relished the idea of presenting himself as reasonable, transparent, and deferential to the longstanding norms governing the White House’s interactions with the Department of Justice. Former White House Communications Director Anthony Scaramucci also weighed in, telling BeltwayBreakfast that Nadler’s actions are hypocritical in light of his previous opposition to the release of Independent Counsel Kenneth Starr’s report on then-President Bill Clinton. Democrats are “100 percent” afraid of raising impeachment for fear of triggering an outcome similar to that of what transpired during the 1998 midterm elections, in which voters rejected Congressional Republicans’ attempt to impeach then-President Clinton by declining to re-elect a number of GOP incumbents. “They can’t go to impeach him because that’ll send his poll numbers through the roof and it’ll likely cause him to get reelected,” Scaramucci said. But not everyone in Trump’s orbit is counting on Democrats’ fear of blowback to provide a rationale for denying Democrats the full Mueller report. Trump 2016 Deputy Campaign Manager David Bossie said that Trump should throw caution to the wind by directing the White House Counsel’s Office to assert control over the report’s release and scrub it of any material that would ordinarily be covered by executive privilege. “They don’t care about rules and they don’t care about precedent will do whatever it takes to try and destroy him,” he said. Democrats, he added are “not going to ever be satisfied” with any result short of impeaching the President, and will do whatever it takes to achieve that end “through any means necessary” and regardless of whether a formal impeachment proceeding is launched or not. One of Bossie’s colleague from the 2016 race, Trump campaign aide Sam Nunberg, said that from the President’s perspective, there’s no good reason to work with people who are trying to destroy him. “They’re not going to cooperate on anything because it just won’t stop,” he said. 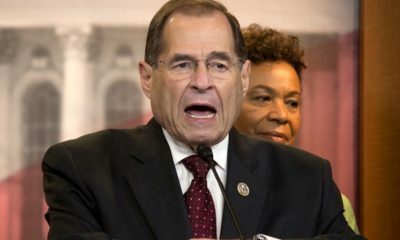 One source close to Nadler wondered whether the President or his allies are attempting to goad Democrats into launching impeachment proceedings by refusing to comply with anything short of a formal impeachment inquiry. “There’s a lot of work that we need to get done before we’re even at a stage of being able to make that determination. But one House Democrat who sits on both the Judiciary and Oversight Committees, Rep. Jamie Raskin, D-Md., said that he and his colleagues have a responsibility to review Mueller’s evidence themselves and that their responsibility was far more wide-ranging than simply deciding whether or not to impeach a President. I don’t think [impeachment] is a necessary predicate for our ability to obtain the Mueller report or any information that we consider relevant. We have a constitutional oversight responsibility that is far broader than just an impeachment investigation,” he said. But one House Democrat who sits on both the Judiciary and Oversight Committees, Rep. Jamie Raskin, D-Md., said that he and his colleagues have a responsibility to review Mueller’s evidence themselves and that their responsibility was far more wide-ranging than simply deciding whether or not to impeach the President. 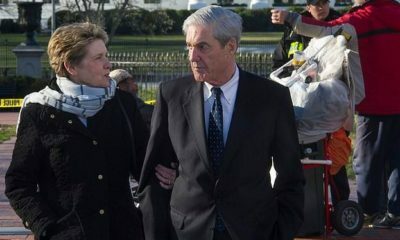 WASHINGTON, March 26, 2019 — A day after Attorney General William Barr told Congress that Special Counsel Robert Mueller had found President Donald Trump to have neither “colluded” with Russia during the 2016 election nor obstructed the investigation into alleged collusion, President Trump and Republicans are out for revenge. Democrats are vowing to press on in their search for answers. James Comey in May 2017 — did not fulfill the elements of the crime of obstruction of justice. Although Barr noted in his letter to Congress that Mueller himself had stated that the report “does not exonerate” Trump, both the President and his advisors characterized Barr’s interpretation of Mueller’s report as leaving him completely exonerated. While some observers characterized Barr’s letter was a chance for Trump to “reset” his presidency, it wasn’t 24 hours before Trump and his advisors began to hit back against those who, having conducted, supported, or reported on the investigation, had purportedly shown themselves to be enemies of the President. Speaking to reporters outside the West Wing on Monday, White House Press Secretary Sarah Huckabee Sanders set the tone for the day by casting an investigation that was conducted by a Republican administration’s Justice Department, led by lifelong Republican Robert Mueller, and overseen by Republican — and Trump appointee — Deputy Attorney General Rod Rosenstein, as a waste of money and a coup attempt by Democrats and the press. “I think that it’s disgraceful that we had $25 million in taxpayer money to chase a witch hunt that shouldn’t have taken place in the first place. I think Democrats and the liberal media should be absolutely embarrassed by their behavior over the last few years, by their breathless reporting,” Sanders said. Sanders later took to her official government Twitter account to circulate a New York Post image of a mock NCAA basketball tournament “bracket” entitled “Mueller Madness,” which encouraged readers to vote for who’d be crowned “the worst” of the 64 Trump critics drawn from not just the print and television news media, but also comedians, network sitcom producers, and late-night television hosts. One of Sanders’ counterparts from Trump’s reelection campaign also went beyond generalized attacks on the media by circulating documents reminiscent of Richard Nixon’s so-called enemies list. The memorandum, which was first reported by Axios’s Jonathan Swan, advises producers against booking a number of current and former government officials who’ve criticized President Trump over his alleged ties to Russia and obsequious attitude towards Russian President Vladimir Putin. Among those Murtaugh’s memo advises the networks to blacklist are the current chairmen of the House Judiciary Committee and Permanent Select Committee on Intelligence, Reps. Jerrold Nadler, D-N.Y. and Adam Schiff, D-Calif.
Other elected officials targeted by Murtaugh are Rep. Eric Swalwell, a California Democrat and member of the Intelligence Committee whose many TV appearances have given him a national following, and Connecticut Senator Richard Blumenthal, who Trump has repeatedly attacked over his Vietnam-era service record. Rounding out the target list are Democratic National Committee Chairman Tom Perez and John Brennan, the former CIA director and Trump critic who the president retaliated against last year by ordering his security clearance to be revoked. But the Trump administration’s plans for revenge may not be limited to his perceived enemies in the press. During an interview with the PBS Newshour’s Judy Woodruff, Counselor to the President Kellyanne Conway said she agreed with Trump attorney Rudolph Giuliani and other Trump allies, who’ve called for the FBI and the entire Justice Department needed to be investigated for what Giuliani and others have characterized as an attempted coup. “I think their point is, the Justice Department, the FBI, the shenanigans that were happening when Comey and McCabe and Strzok and Page and Ohr and the rest of that lot were there ridiculing the Trump voters, smelly Wal-Mart shoppers and things like that, saying they needed a — quote — “insurance policy” to make sure he wouldn’t be the president,” Conway said, rattling off a list of FBI officials who’ve become a staple of right-wing conspiracy theories over the past few years. “I think, in the interest of full accountability, transparency in our great democracy, the public has a right to know what folks were doing to try to subvert a newly democratically elected president,” she added. “There are a lot of people out there that have done some very, very evil things, very bad things — I would say treasonous things — against our country,” Trump said Monday as he stood alongside Israeli Prime Minister Benjamin Netanyahu. “We can never, ever let this happen to another President again,” he added. While Trump and his allies appeared to plot their revenge, House Democrats vowed to obtain Mueller’s full report and press on with their investigations, no matter what the President might say. “We can’t worry about what he’s going to say. We have to worry about the American people and about vindicating the rule of law in America,” said Rep. Jamie Raskin, D-Md., who serves on both the House Judiciary and Oversight Committees. Raskin stressed that Democrats are not talking about impeachment, only about getting to the facts, adding that the American people do not want Democrats to simply fold up their tents and go home based on the assertions made by Attorney General Barr, who he called an “unreliable narrator” on the subject of Mueller’s report. 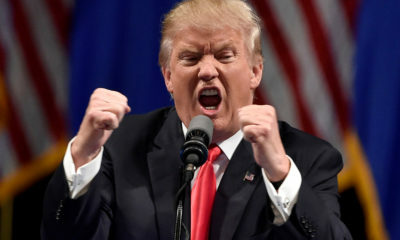 “He already, long ago, committed himself on the point that the president’s cannot be found guilty of obstructing justice,” he said, referring to Barr’s authorship of a memorandum arguing that the President cannot obstruct justice when acting as the head of the executive branch. White House officials contacted by BeltwayBreakfast rejected Raskin’s assertion that Barr is “the last person that question [obstruction] should have been left to” by noting that the attorney general’s letter specifically denied that his views on the president’s authority over the executive branch factored into his judgment that Trump had not committed obstruction of justice. Nevertheless, Raskin compared Barr’s presentation of Mueller’s findings to a high school book report by a student who’d read the Cliff’s Notes on the book instead of the book itself. Raskin said that he and his House colleagues are determined to get a look at both the full report and the underlying evidence used to compile it.